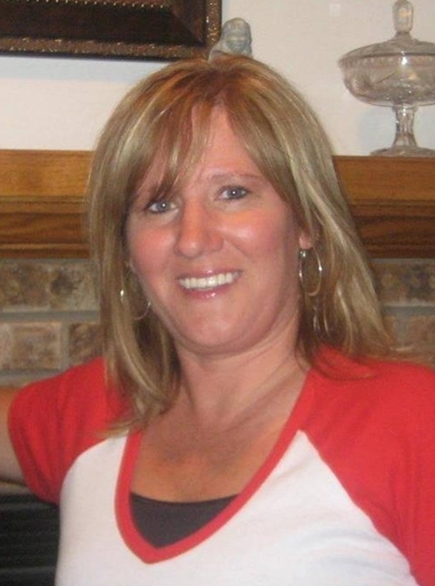 Funeral Services to celebrate the life of Tammy Loos, 51, a resident of Milan, formally of Davenport, will be 10:30 am Monday, April 1, 2019 at Holy Family Catholic Church, 1923 N. Fillmore Street, Davenport. Burial will be in Rose Hill Cemetery, Buffalo, Iowa. The family will greet friends Sunday, March 31, 2019 from 1:00-5:00 pm at the Halligan-McCabe-DeVries Funeral Home, 614 Main Street, downtown Davenport. Tammy’s life was ripped from her family and friends due to yet another act of stupidity and cowardly actions of some thoughtless individuals. She was in an automobile accident which occurred Wednesday, March 27, 2019, which happened to be her 51st birthday. Tammy Sue Wade was born March 27, 1968 in Iowa City, a daughter of John Alvin and Susan Elaine (Erbst) Wade, Jr. She graduated from Iowa Grant High School, Livingston, Wisconsin. She then attended classes at Kaplan University. Tammy was a licensed Day Care Provider, providing love and nurturing guidance and care to many children and their families over the years. She was also employed by Genesis East Medical Center as a Tech Secretary and Patient Care Representative. She married William Joseph Hermanson in 1986; and later was united in marriage to Michael Kevin Loos in 1993. She was engaged to her fiancé Matt Burroughs who was also injured in this accident. Tammy loved life, she especially cherished her three children and all children in general. She enjoyed time with family and friends, hosting gatherings. She loved her St. Louis cardinals and loved going there on family vacations. She loved concerts, dancing, country music, taking pictures and soaking up the sun in her flip-flops. Memorials may be made to her family to assist with the unexpected expenses related to her death. Those left to honor her memory include children, William “Bill” Hermanson, Courtney Loos, and Brandon Loos; all of Davenport, a special nephew, Brent Wade, who was raised along with her kids and was like another son; her fiancé, Matt Burroughs, Milan, mother, Susan (Terry) Flynn, Wisconsin; siblings, Raymond (Sandy) LaGrange, twin sisters, Rosalind (Eric) Barr, and Elizabeth Larson (Mark Sieling), numerous aunts, uncles, cousins, nieces and nephews and dear friends. She was preceded in death by her father, John A. Wade, Jr, a brother, John A. Wade, III and her beloved grandma who was a big part of her life, Rosie Wade. May they rest in peace.